The Mom of Girls Book Club will start in February 2017. Our first selection? 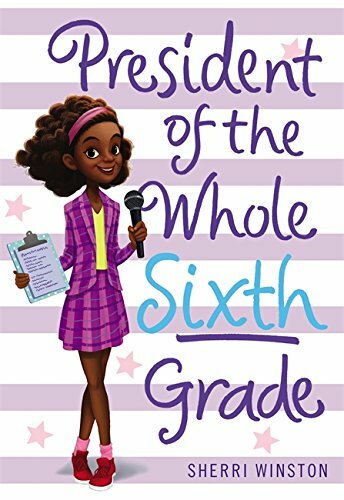 Yes, President of the Whole Sixth Grade by Sherri Winston! And because I love planning get-togethers, this won’t be your ordinary book club. Sure, we’ll choose a book and encourage girls to get together to discuss it. But, each book club meeting will have a little something extra to go along with your planning guide. You can decide if you want to host a book club for your daughter’s friends, or if you want to join us virtually. The supporting materials will be available for download; you can modify as needed. You may decide not to have a local group at all, but instead have mommy-daughter dates after you finish the book… there are so many options. FYI, books chosen will typically be geared towards 3rd to 6th graders. Interested in book club updates, materials and more? Join the Mom of Girls Book Club!